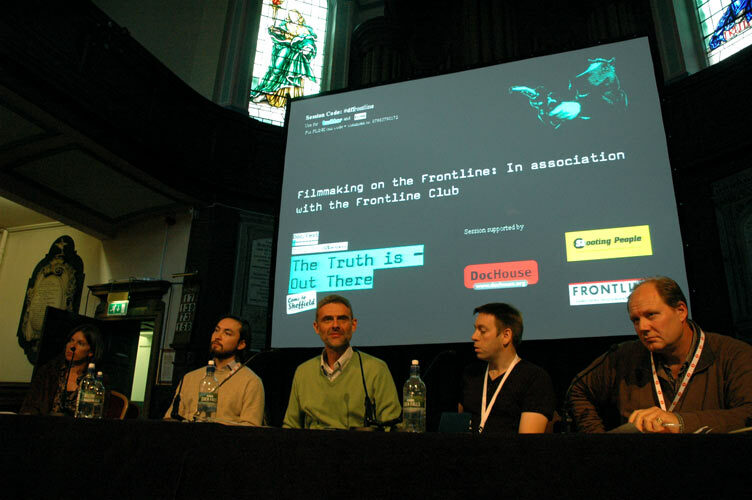 At this year’s Sheffield Doc/Fest the Frontline Club put on a panel covering an area of filmmaking the festival hadn’t previously examined, how you film in a dangerous situation. Putting the panel together was extremely difficult as, due to the nature of the job, many of our panellists were either stuck in difficult places filming or had to rush off to film in reaction to sudden changes in the world. However, it worked out for the best and our final line-up had an incredible array of experience and insight. Joining Frontline Club founder Vaughan Smith were Danfung Dennis, Jules Williamson, John D McHugh and James Mullighan from Shooting People as chair. It was a fantastic discussion and all panellists showed clips from their work. 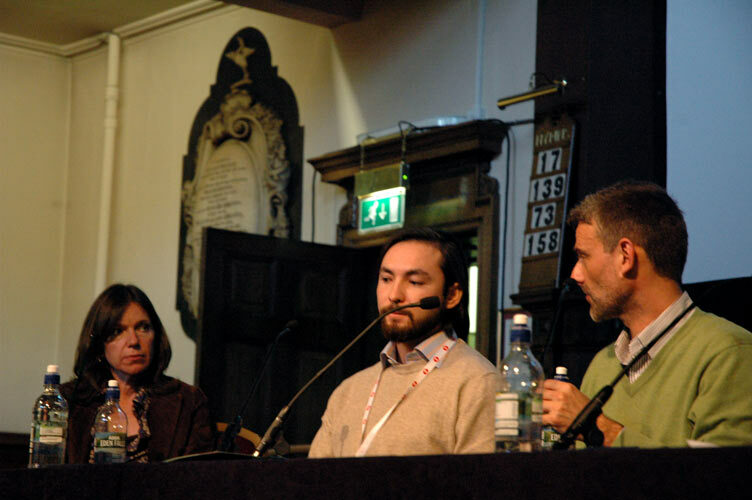 The panel discussed various aspects involved when preparing to shoot in a conflict zone. The resounding advice was explained best by Vaughan who said that fundamentally you should make sure you go on a shoot with a purpose. He went on to caution potential filmmakers that it’s easy to get scared before you go to a warzone when, if you work it out, the risks they could be very low. John D. McHugh and Danfung Dennis went into greater detail about how to behave whilst on a shoot. John D. spoke of how the more you can think about what you’d do in situations the better you’ll be prepared and not get it wrong and Danfung stressed that telling the story is really important and that you must decide whether you are going for the experience or to tell a story. Jules Williamson (apologies I don’t have a link to her stunning new film looking into a radio station helping child soldiers, but keep an eye out for it) spoke from the perspective of setting up a shoot and explained how risk assessment is important as it gives you focus, no matter what topic or situation. It was fantastic to see the club have a greater presence at the festival this year and to bump into the various members attending. We also got a mention at various panels and it was particularly wonderful to hear Jess Search of BritDoc telling a packed room that she loved the club. A huge thanks to the other organisations that helped us with the discussion. The session couldn’t have been possible without our producing partners DocHouse and the help of Shooting People.